Getting the right truck for you relies on understanding the lingo and knowing which configuration is going to give you the features you need to haul passengers and cargo in Hobbs. We’re here to break it down so you get just the truck you’re looking for and leave the confusion behind. Quad Cab: 117.2 cubic feet of interior space provides plenty of room to stretch out. Crew Cab: 132.4 cubic feet of volume combines with a maximum rear passenger legroom of 45.2 inches. Short Bed: A 5-foot 7-inch bed provides plenty of cargo room without excessive length. Standard Bed: Most models have access to the standard 6-foot 4-inch bed, perfect for moving sheets of plywood or drywall. Quad Cab Combos: The Quad Cab is fitted exclusively with the standard bed for a maneuverable truck that measures 228.9 inches in length. Crew Cab Setup: Drivers who choose the Crew Cab for their next Lubbock job will have access to short or standard beds for a maximum total truck length of 241.8 inches. Cabs and beds are just part of the equation. Learn more about the interior and exterior appointments you can find in a 2019 RAM 1500 and decide which of these dynamic models has what it takes to get the job done. 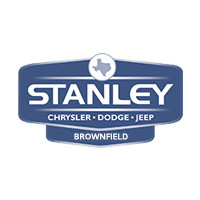 Contact Stanley Chrysler Dodge Jeep Ram Brownfield in Brownfield to get started.